I'm always looking for creative ways to house books. How do you store them? P.S. Our bookcase! By the way, you see that little bird on my shelf that was a gift from my Dad to my Aunt many many years ago? He found it at some random shop in San Francisco the 1960s. Well...you can buy the exact same one at Anthropologie! Crazy. Thanks for spotting this Angela! P.P.S. And a very special one from my Oma! P.P.P.S. Remember Coco Draws? Giveaway tomorrow!!!! So excited! Oh I love bookshelves! Great choices! Ha. This looks like my room. I love the 2nd book shelf! So neat and unique! I love decorating with old colorful hard cover books! Bookshelves make a room soo cozy! Just got some old hard cover colorful binding children books at a book sale, 6 books cost $1.75 total! oooo that second to last one is so cool!! What gorgeous inspiration! I would love to have that circular bookcase in my house :) And that little bird you have is so cute. I was JUST thinking about writing a post sort of like this and then I saw this appear on my dashboard! LOVE LOVE LOVE bookshelves! I love the full wall shelf! Whenever I get rid of books I always think..what about my floor to ceiling shelves someday? So cool! Love these ideas! I love all of these - I have so many books, I wish I had more interesting shelves to hold them all. 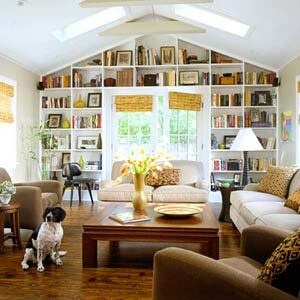 I love that room with the skylights and the bookshelves covering the walls surrounding the window - so beautiful!!!! 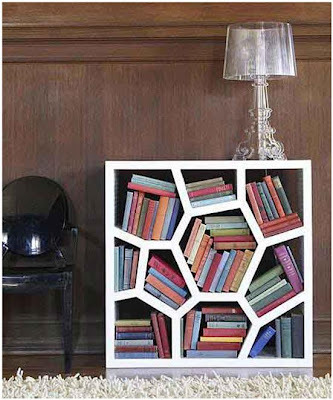 i love books and the bookcases we can put them on! Oh, I'm loving that hexagon bookshelf, but then again, I have a weird thing for hexagons. O.M.G. 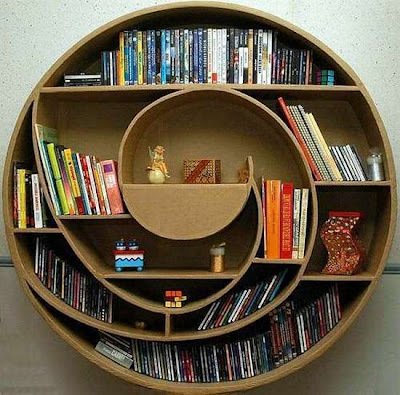 I'm so in love with that circular shelf!!! So cool. I feel like I never have enough book shelves. It's constantly on my list and I have lots of them already! i love all these especially the second one from the top. 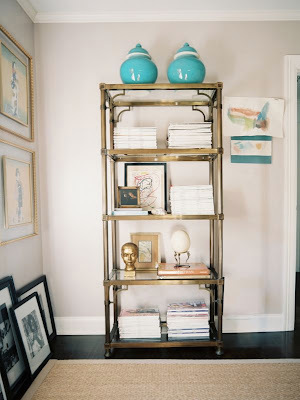 ahh, i wish i werent moving so i can redecorate...these photos give me inspiration--thanks for sharing! 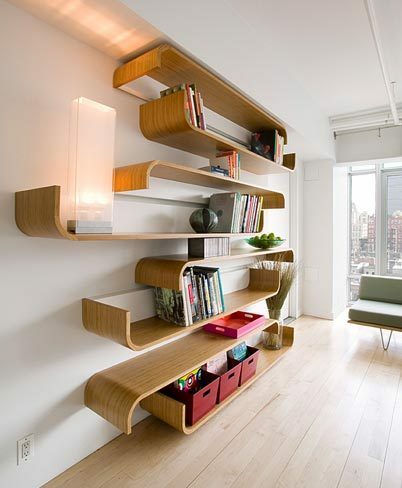 That first bookshelf is gorg!!! So many unique bookcases! The first one is my favorite!